Here’s some tips and tricks in no particular order I’ve picked up over the years to generate comments on a blog. Not much of a tip I know, but if you don’t have commenting turned on or the software you use to run your blog doesn’t allow for comments you aren’t going to get any comments. The blog CMS WordPress has a robust commenting system and is highly recommending for blogging. I own over 100 WordPress blogs, keeping up with the comments on them all is a big job, but on my important sites I make sure comments are responded to promptly and it pays off with more user comments. There’s nothing more irritating than spending your time providing feedback on a blog post for the author not to provide a response when your comment warranted a response. When that happens to me I won’t comment on that website again. You might even pick up a few online friends or joint venture partners via your comments, I have. Maybe you have an example where responding to your users comments has made you money or a useful contact? As a WordPress blogger I COULD insist all commenter’s register to comment or fill in capatcha’s or puzzles to prevent comment SPAM. 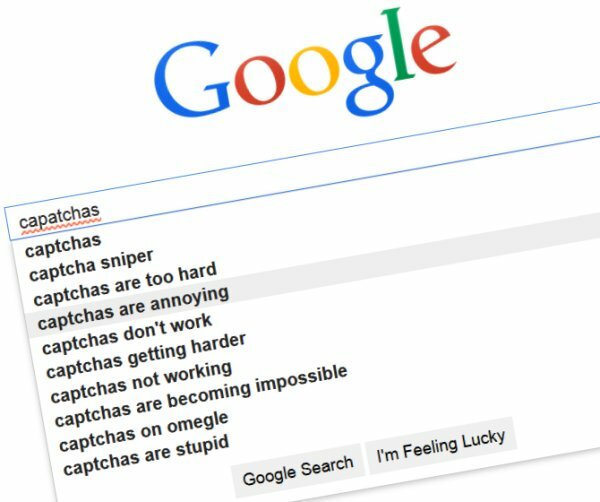 This adds a barrier to your visitors making a quick comment that will put many off, those capatcha’s in particular are a pain in the ####! I have perfect eye sight, but regularly get capatcha’s wrong! Use the free WordPress plugin Akismet and over 99% of SPAM comments will be automatically filtered, no need to make your real commenter’s jump through hoops. External commenting systems like Disqus and Intense Debate can make managing your comments easier, but your visitors will have to sign up to those services to comment! 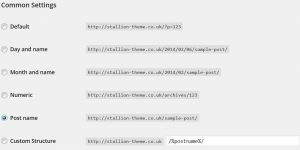 You also loose control over how the comments are used etc… my comments have comment titles and are turned into “Super Blog SEO Comments” by the Stallion theme, wouldn’t be able to achieve this using external commenting systems. Would you sign up to a forum to make a single sentence comment on one post? If not don’t make your visitors register to comment on your blog. Who wants to be the first person on the dance floor? A post with no comments is less enticing to comment on than a post with a few comments already. If a post isn’t generating comments consider adding some yourself. Log out of your sites WordPress dashboard and make a couple of leading comments with another username/email address (can be fake), comments with questions or a polarizing viewpoint can generate more comments than “I agree comments”. Nothing better than commenter’s with opposing viewpoints, generates debate. Try to put a few questions in your articles, ask your visitors what they think. For example see the last paragraph of this article where I ask for how you generate more comments on your blog. Make it clear you want comments. In many niches, especially the make money online type niches many of your commenter’s are commenting to benefit their own websites (they want a backlink). With a standard WordPress blog using most WordPress themes the author URL will be rel=”nofollow” and links added to the comment body will be rel=”nofollow”, see WordPress SEO Comments and rel=”nofollow”. Rel=”nofollow” results in the link passing no link benefit (PageRank/PR) to the commenter’s website, (the commenter receives no SEO value from the link) but the links can still be clicked and so can generate direct traffic. Unfortunately nofollow links delete the link benefit that would have flowed through the links, so every nofollow link provides no SEO value to the commenter and damages your sites SEO by deleting link benefit! For this reason we should not use rel=”nofollow” on any links within our sites. There are Dofollow WordPress plugins (dofollow plugins remove the nofollow from comment links) that can remove the rel=”nofollow” from the comment links turning a blog into a dofollow blog (the comment links pass SEO benefit). There are even websites and services devoted to finding and exploiting do follow blogs for backlinks, so if you go do follow and your sites have reasonable PR you’ll find you get more comments. In my experience with sites that total over 50,000 comments between them providing dofollow links to visitors looking for backlinks to their websites is a mistake. You have little control over what they link to, they might link to banned domains that have the potential to damage your sites SERPs. The comments tend to be very low quality, the visitor isn’t commenting because they think your article is worthy of a comment, but because they want a backlink. These comments tend not to generate further debate and from a user perspective make it difficult to read through a set of comments, I find they damage the sites user experience resulting in less quality comments. If you run a do follow blog what’s your experience regarding the quality of the comments? As mentioned above most blogs have their links nofollow, but there is still benefit to you in commenting on similar niche blogs. Strike up conversations with other bloggers via their comments and some will find their way to your site and comment. What methods do you use to entice your visitors to comment? Sorry that I write to ask you again. I want to show the comment with pictures (like your comments that attach with pictures, horse, butterfly,or others). How can I do? Below is an example of the Stallion SEO Recent Comments with Gravatars widget. The most SEO friendly WordPress recent comments widget – unique Stallion WordPress SEO Theme feature. Other themes waste link benefit on comment author links, many use rel=”nofollow” on comment author links which deletes SEO link benefit!!! I added those descriptions so users know how I achieved the widgets layout of this website. The actual avatars used is a WordPress core feature set under Settings >> Discussions at the bottom. A lot of the information you are asking about is posted on the website already, can I suggest taking an hour or two to browse through the various tutorials so you have a better idea of what is possible with Stallion. You’ll never get the most out of Stallion asking these sorts of questions, best to read through the detailed tutorials and find general WordPress tutorials on Google as there’s a lot of core WordPress features you don’t want to miss out on. I note by the time I responded to this question (few hours after you asked) you’d already found the Stallion SEO Recent Comments Widget and added it to your sidebar. “Notify me of followup comments via e-mail. You can also subscribe without commenting.” Does Stallion have this feature? 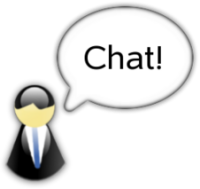 I need to spend even more time to figure out to keep the conversation going on my sites. I know there are a lot of plugins out there, but which ones really work. We all have seen many specific examples of lame content propelled up by high comment activity. I use Gurken Subscribe to Comments which is working out the box with Stallion so no real need to add it directly into Stallion. I also try to avoid adding plugins that require their own settings page unless I’m adding new features that’s not part of the original, fixing bugs etc… The original Favicon plugin has it’s own options page, but I made a lot of code changes to the code used with Stallion, so had to add it as a built in plugin to have it working as I wanted. Same with the All In One SEO Pack Plugin, made loads of changes to the code. I can not believe I am saying this as I always thought WP plugin Jetpack was bloated but after trying some plugins for subscribe to comments, I tried the full version of Jetpack. It has subscribe by mail widget and subscribe to post and comments box under the comment area. Hovercards which I like and Stats. So as long as it is not doing any SEO damage (none which I can see) I decided to use Jetpack for a few things. Platforms like Livefyre are easy to install plugins for WordPress sites and allow for real-time and social commenting. Also helps to clear the spam. Where is the setting to enable comment notifications for the person leaving the comment, like here. How am I notified when a reply or new comment is made? That would be the plugin Subscribe to Comments Reloaded which I forgot to reactivate recently after some maintenance on the site. Subscribe to Comments Reloaded is active again.